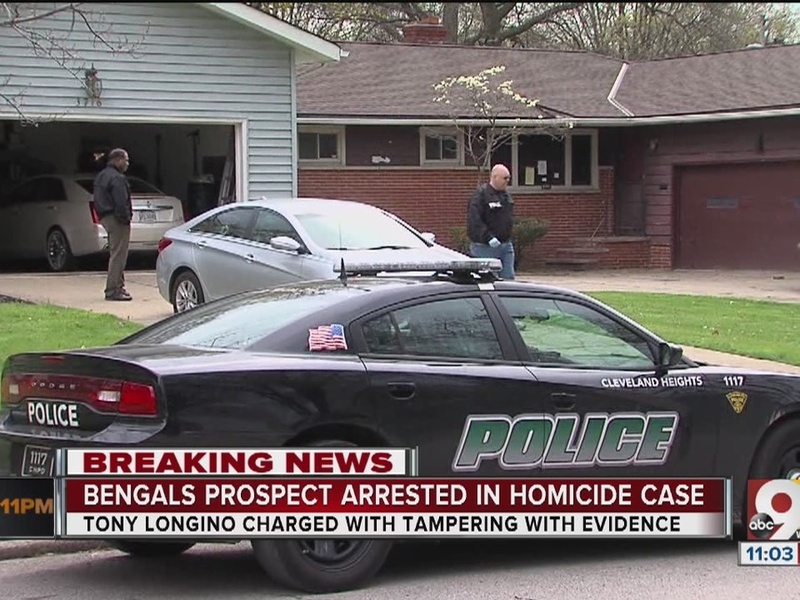 CLEVELAND HEIGHTS, Ohio -- Just days away from a tryout with the Cincinnati Bengals, a Cleveland football player has been arrested and charged with tampering with evidence in a homicide investigation. Antonio Longino was released early Thursday on $100,000 bond from the Cleveland Heights police department. Police said there was a vehicle with two bullet holes towed from Longino’s aunt’s house Wednesday afternoon. A search warrant was also served and several bags of evidence were taken from the home. According to a police source, all of this is part of an investigation into a homicide that occurred at the Sunny Spot Lounge in Cleveland Heights early Tuesday morning. Cleveland Heights Police Chief Annette Mecklenburg said late Wednesday that Longino was taken into custody at about 9 p.m. Tuesday and charged with tampering with evidence in connection with the case. The homicide involves a 24-year-old Cleveland man who was shot killed. Officers found Dejon D. Forbes wounded in a parked vehicle after a report of shots fired at about 2:28 a.m., according to Cleveland Heights police. Forbes was taken to a nearby hospital, but died shortly afterward. Longino was trying out for the Cincinnati Bengals, according to NFL.com . He was not drafted in the recent draft, but was supposed to report to the team’s rookie camp as an undrafted free agent. Family members said Longino was looking forward to joining the NFL. In a tweet from May 1 , Longino expresses his gratefulness to Cincinnati. 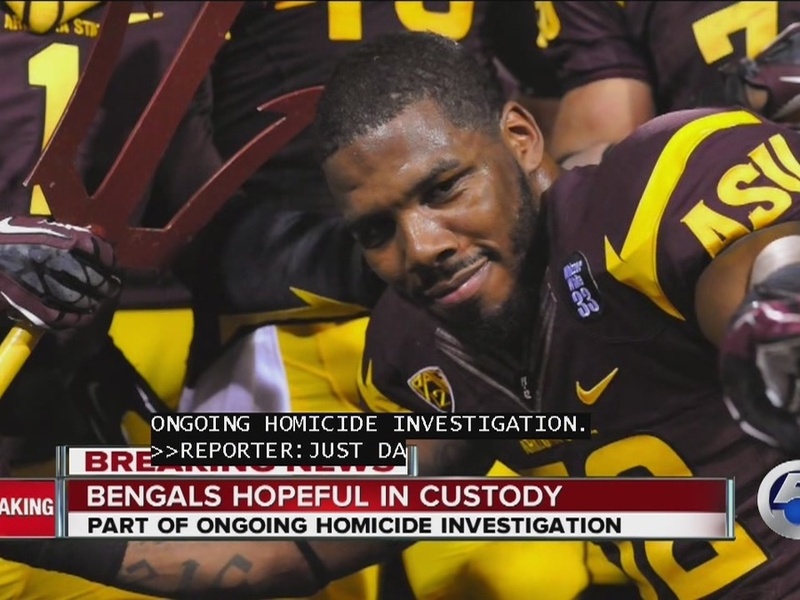 According to NFL.com , Longino is from East Cleveland and attended Hutchinson Community College before going to Arizona State University. The ASU Sun Devil Athletics website states Longino, a linebacker, went to Shaw High School. He is 6 feet 2 inches tall and weighs 230 pounds. Mecklenberg confirmed that Longino is being held in the Cleveland Heights jail on a $100,000 bond on the tampering with evidence charge and is expected to make a court appearance soon.